SET (Symbiosis Entrance Test) is a University level entrance examination for those students who wish to get admission in various undergraduate courses in SIU affiliated. This exam is conducted once in a year. 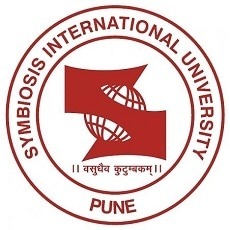 SET (Symbiosis Entrance Test) is conducted by the Symbiosis International University, every year. Interested students seeking admission to SIU affiliated universities. There is only one chance given by the SET to appear in the examination, no second chance is provided. The application forms of SET (Symbiosis Entrance Test) will be released in January 2019. The important information regarding SET (Symbiosis Entrance Test) exam pattern, important dates, syllabus, admit card, etc. are mentioned below. University has not released anything yet regarding SET 2019. The section will be updated once there is an official announcement. The registration process will start from January 2019. The registration forms are to be filled in an online mode. Students are requested to take a printout of the application form filled online. Now, there are two exams to be held i.e. one for Law or Design in the morning shift and the other one for Engineering or General in the afternoon shift. Students have options to pay the registration fee. If you are registering for one test in the morning (SLAT/SEED) and one test in the afternoon (SET/SITEEE), the fees is Rs. 3500. Note: A candidate is required to make separate non-refundable payment of Rs.1000/- per programme per institute at this stage. Candidates must have passed their class 12. Candidates must have to score 45% marks (for general category) and 40% (for SC/ST) which is the minimum marks required to qualify the examination. The question paper will be an objective type i.e. MCQ type, there will be no negative marking in this examination. The topics such as synonyms, antonyms, error spotting, analogy, prepositions, articles, grammar, vocabulary and fill in the blanks are to be covered in the English subject. Topics such as percentage, profit and loss, discount, time speed and distance, algebra, time and work, number system, permutation and combination and probability must be covered under in this subject. Topics such as arrangement, Coding-Decoding, Syllogism, Blood Relationship, Cubes, Assumptions, Series and Venn diagram should be covered under this subject. Topics such as companies and founders, awards, science, sports, books and authors and current affairs are to be covered in this subject. Topics such as ratio and proportion, profit loss and discount, time and work, blood relations, menstruation, clocks and calendar, number series, questions on series, situation-based decision making, coding-decoding, number system, probability and mixtures. Admit card will be available to the candidates 15 days before the examination. It is a very important document to enter in the examination hall. Admit card contains all necessary details such as date, time, venue etc. of the examination. Candidates can’t afford to lose or forget the admit card. Admit card will be available online on the official website of SET. Results will be announced as per the official schedule. The candidates can check their scorecards and download their scorecards from the official website. Usually, results are downloaded in the month of May. Each scorecard will contain the candidate’s name, roll number, sectional score and an overall score of SET 2019. The scorecard will be available for download on the official website for one month from the date of declaration of results. The candidates are advised to download their scorecards within the given duration as the institute will not entertain any request for scorecard after that. How can I apply for SET Entrance Exam? The hall ticket and admit card for SET are the same. Where can I report mistakes in my SET Admit Card? We recommend you to contact the examination conducting authorities immediately if you find any discrepancies in your NPAT hall ticket. For any queries regarding SET 2019, please comment below.